In my youth, I lost many an hour submerged in Bullfrog’s Theme Park. 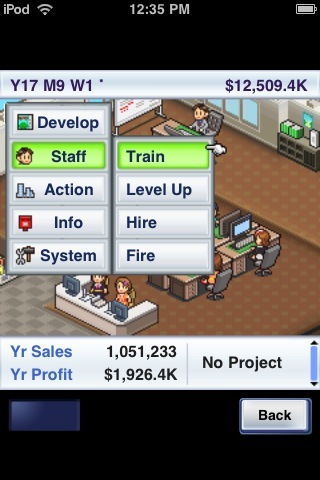 By high school, I had graduated to the Roller Coaster Tycoon series. In college, I even further immersed myself in the sim management genre with Lionhead Studios The Movies. Weeks, days, and hours were lost to these all consuming business simulators. 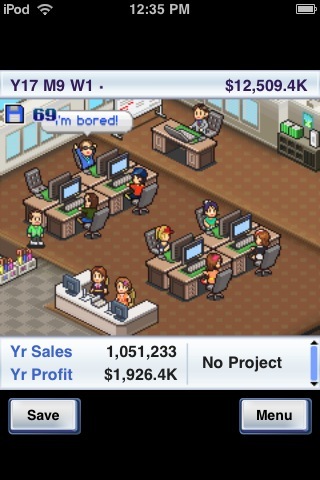 So, imagine my surprise when I found another addicting sim, this time on the iDevice. Increase your fan base and overall product awareness. Your direction of the studio will either lead to its success or supreme failure. Via touch screen, there is a drop down menu to input your commands. 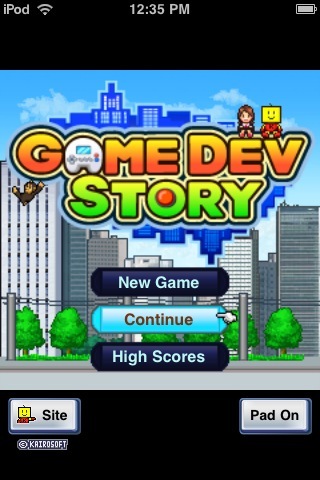 The first night I dove into Game Dev Story, I ended up playing for about two hours straight. The mixture of management decisions, marketing (advertising/ going to trade shows), and having to decide which console to develop for had me hooked. This game is perfect for those on the go and priced out (for a limited time) at $1.99. I can’t recommend this game enough!